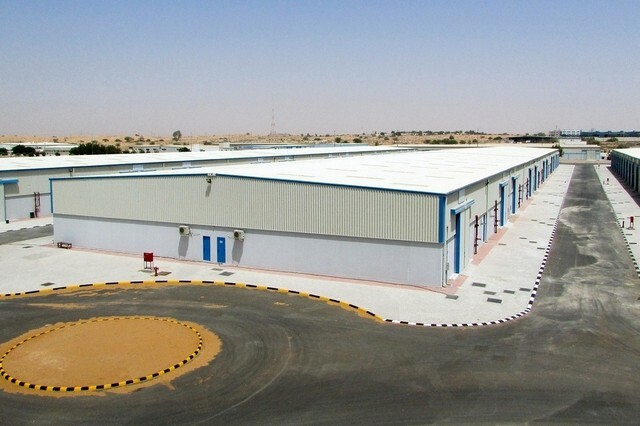 Ras Al Khaimah Free Trade Zone has increased the number of warehouses in its biggest park by 30 per cent as part of plans to boost industrial contribution to the emirate's economy. About 100 warehouses at the Technology Park in the free zone have been added to the existing 330 at a cost of Dh47 million, and there are plans for more warehouses to meet rising demand from existing and new customers. The proximity of the park to Dubai, Abu Dhabi and Fujairah is one of its main selling points. The new warehouses – about 40 per cent have been pre-leased – are targeted at light and medium industries, logistics and trading firms, and high-tech companies. The free zone was focusing on "attracting more industrial clients because that will have more benefit” for the emirate's economy, said Eyad Ismail, an engineering manager at the free zone. "If you have more industrial clients they will have more labour, start expanding and contribute more to [Ras Al Khaimah].” he said. Occupancy at the 330 warehouses is full at present and the expansion is expected to meet future demand. "The important thing about the new warehouses is that they are suitable for a wider range of industries and they are equipped with many new features,” said Mr Ismail. They include higher power capacity and facilities for heavy machinery, which could attract more fabrication and high-tech companies. The free zone currently has about 650 warehouses. About 25 per cent of warehouses are used by Asian companies, mainly Indian firms. About half of the warehouses are used by light and medium industries, and the other half by trading and logistics companies. The new warehouses are expected to attract more Indian and Chinese companies. The technology park is also expected to be expanded in the next phase of the project, which will double the park's size to about 30 million square feet. The park is presently used for warehouses and industrial land. The free zone is home to more than 8,000 companies from more than 100 countries and 50 industry sectors.